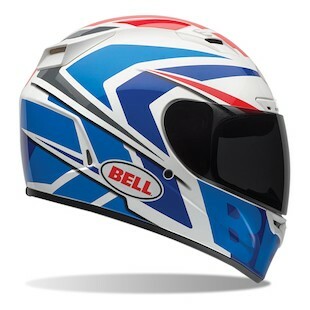 The Vortex helmet has been a staple in Bell's lineup for quite some time. Even the most solid performing helmets, however, can benefit from a fresh new graphic every now and then though. 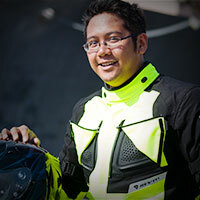 Roland Sands is leading the way with new motorcycle apparel designs. Their Bell Vortex RSD Dyna Helmet falls in line with their design sensibility by offering a helmet that looks like brushed stainless steel. The aggressive design looks like an armored helmet a post apocalyptic knight would dawn while riding into battle against the undead. The orange and black is a nod to the Harley riders out there who will use this on their iron horses. The Velocity Flow Ventilation system offers plenty of airflow for those hot days. The thick neck roll helps to keep out wind noise. For a more contrasting, and somewhat eye catching option, the Bell Vortex Grinder Helmet hits the market featuring brisk, hard lines and angular patterns that make a statement. Whether you prefer the simplicity of a Black/White color scheme, or are daring to be a little more bold with the Blue/Red/White option, the Grinder is a unique lid for the rambunctious among us. Roland Sands knows how to gussy up their gear. Don't call the Vortex an old boring helmet when RSD's Dyna graphic brings the freshness. 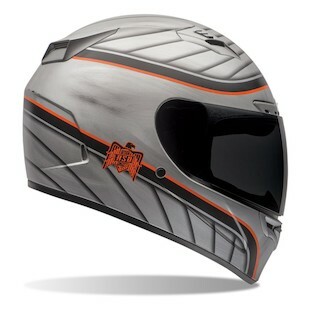 The Bell Vortex Dyna will protect your noggin while riding your post apocalyptic Road Glide and dodging zombies.